Black rhinos are a critically endangered species. 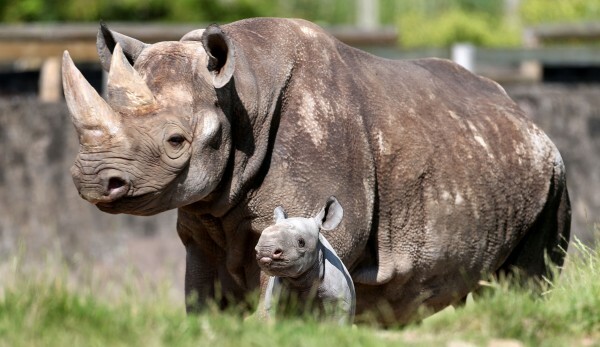 A female southern black rhino calf has been born at Taronga Western Plains Zoo, Australia. 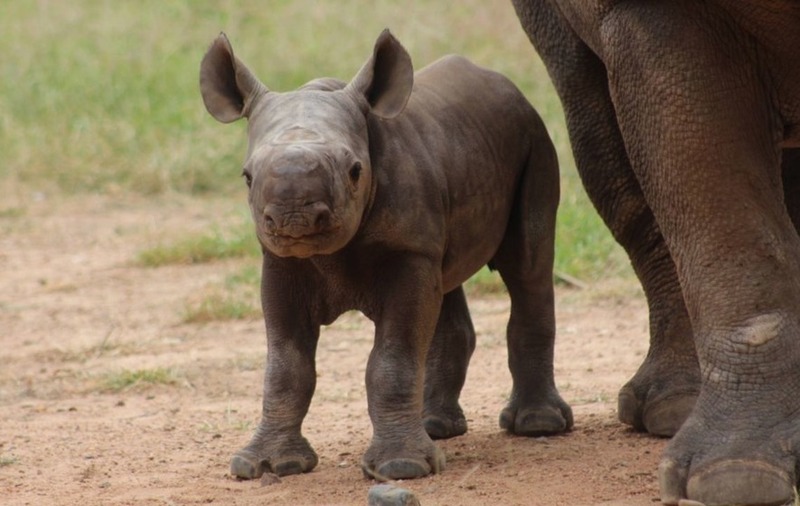 The little girl was born on April 11, weighing in at 25-30 kg and is the third generation of black rhinos born at the zoo in Dubbo. While her playful nature is cute and fun to watch, Kufara’s calf – who does not yet have a name – is a boon for a species under serious threat. 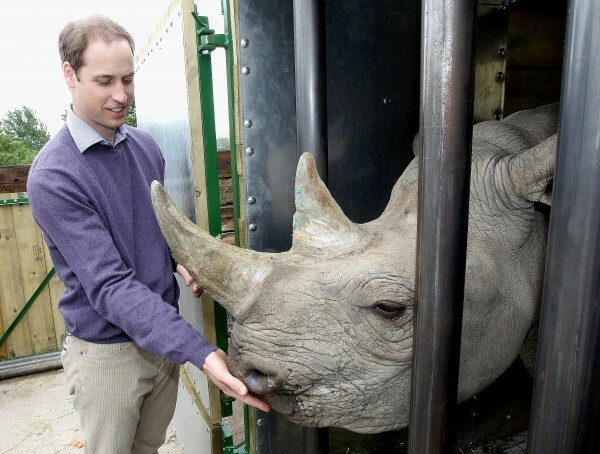 According to the zoo, black rhinos now number just around 4,200 in the world. “This is the fourth calf born in the past 12 years to the zoo’s internationally renowned breeding programme for this critically endangered species,” said keeper Linda Matthews. The World Wide Fund for Nature (WWF) claim Europeans settling in Africa in the early 20th century were responsible for the early decline in the black rhino population. The settlers reportedly regarded the magnificent beasts – which grow to around 5.2 feet high and around two to three tonnes in weight – as vermin and killed them at a rate of five or six rhinos per day “for food or simply for amusement”. Rhino hunting is not a thing of the past however. Nowadays they are largely hunted for their horn, which is used in Asian medicine and as a symbol of status. In 2016 alone 1,054 rhinos were reported killed in South Africa, cutting the total rhino population by approximately 6% – dangerously close to their birth rate. 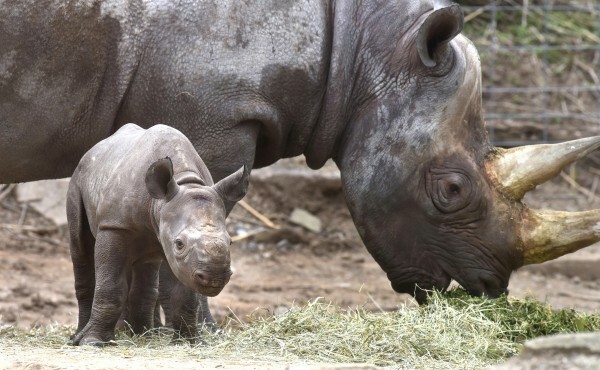 More work needs to be done to protect the rhino and conservation efforts like those by Taronga Zoo are essential – as such every new calf should be celebrated. As for the little one from Taronga, her keepers say she and her mother Kufara are doing well, and the mother is displaying caring and attentive maternal behaviour. The pair will go on display at the zoo in June.